Valpak of San Antonio can take your brand message further and introduce your business to new customers. Our Blue Envelope is the perfect advertising vehicle for businesses in just about every industry, including food service, health and wellness, medical, beauty, automotive and home improvement. Advertise with your choice of direct mail format, such as coupons, flyers or circulars. As a Google Premier Partner, your San Antonio Valpak can also help you make the most of your digital marketing with a business profile page on valpak.com, pay-per-click advertising and SEO services. It’s easy to measure your Valpak return on investment with our performance tracking capabilities. Find out how many calls, clicks, prints and coupons you get each day, week and month. Contact Valpak of San Antonio today to learn how we can help you increase your business in the metro area and other nearby Texas cities, including Laredo, New Braunfels, Boerne, Kerrville and Seguin. For specific dates and coverage, contact your Valpak of San Antonio representative. 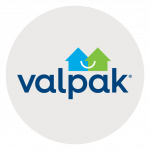 Valpak of San Antonio is an independently owned Valpak franchise.